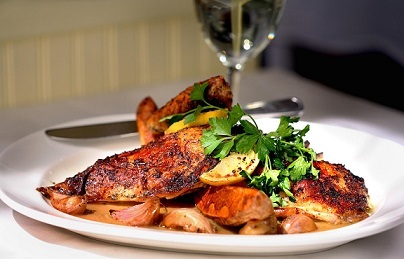 A restaurant Oven Roasted Chicken Recipe with a what? That's right...a "rub." 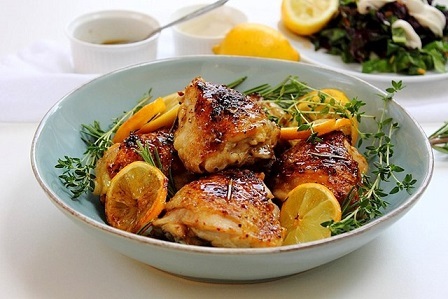 How about pampering that chicken before roasting! If you do, it will pay you back as a "flavor." This restaurant chicken recipe offers both light and dark meat. Something to please everyone! A great meal for everyone! And EASY! Cooking quality meals does not have to be difficult nor complicated if you have the right recipes. Where have I gotten many recipes to try at the restaurant? Of course I look everywhere, but the fact is I often return to some reliable sources... my customers. ENJOY your restaurant chicken recipe and the company of those you share it with! Just reading this favorite restaurant chicken recipe makes everyone hungry!